« last day of the 2011 season! This recipe is a favorite of ours when the weather gets cold (or cold-ish as the case may be lately…) It’s super easy too! 1. Heat the oil in a large saucepan over medium heat. Add the onion and ginger and cook, stirring occasionally, until soft and fragrant, about 5 minutes. 5. 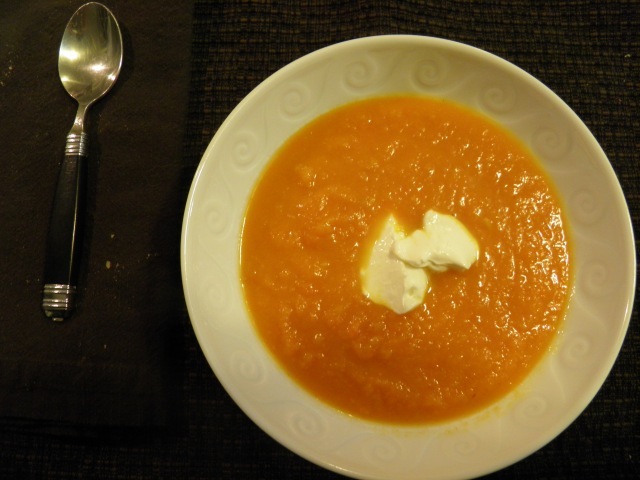 Serve the soup hot and garnish with sour cream. Yum! So delicious! Had this last night with your mixed carrot bags. what a treat!